Brace yourself. 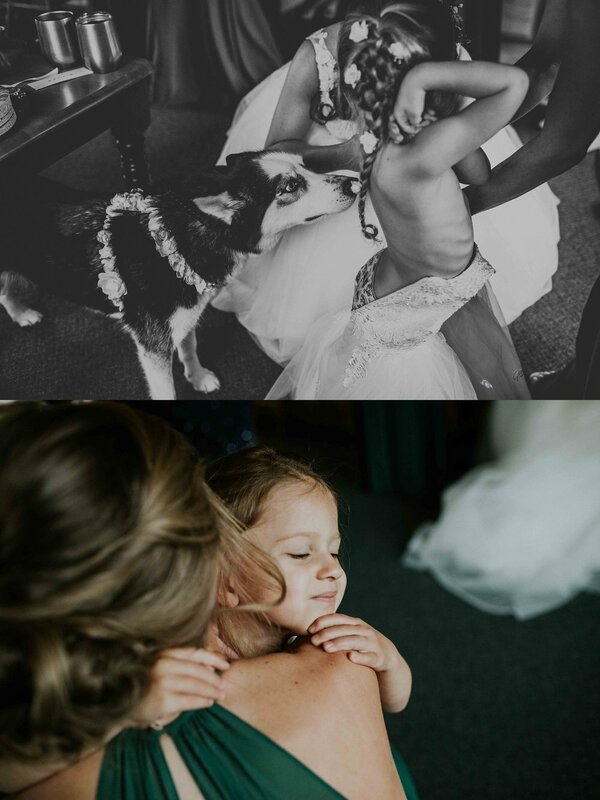 You're about to be bombarded with the sweetest dog moments and the most gorgeous bride + groom portraits ever. I couldn't have asked for a better way to kick off my wedding season. From our first meeting I knew this was gonna be a good one. Allicen and Zeb are two of the sweetest, most laid back people you'll ever meet. They made me and Hannah feel welcome all.day.long. I love couples that are partners and team mates. These two hunt and fish together and raise their pups and genuinely just have the best time with each other and their group of friends. 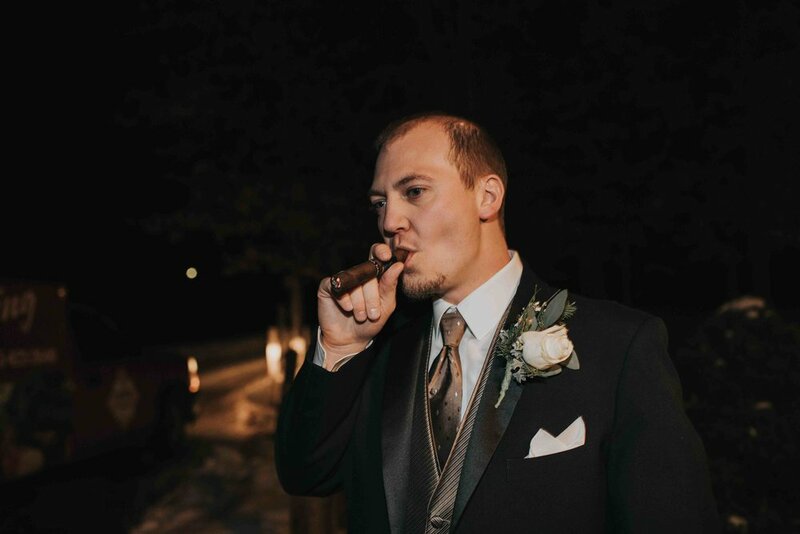 Now if you're in Wisconsin you know that we got hit with snowpocalypse about three weeks before this wedding. So I was a little nervous. But Wisconsin pulled out all the stops and gave me one of my favorite kind of days. Overcast and not too hot not too cold and some light rain in the evening. Not only that but Camp Alexander is my favorite venue in Wisconsin Rapids. It's gorgeous and right on the water and feels super laid back and cozy. So it was perfect for Allicen and Zeb. Everyone had a beer in their hand and dinner included the most bomb mac n cheese and the dance floor was insaaane (I might have done a knee slide because BSB was playing... whoops.). It basically felt like a very romantic, legit, grown up version of the last night at summer camp. I don't know if that makes sense to anyone else but it's the only way I can describe it. I fully support anyone who forces their dogs to wear wedding attire. These pictures of Karoo watching Allicen are hands down my favorite "getting into the dress" photos I have ever taken. I'm sorry guys but Lou stole the show during the ceremony. 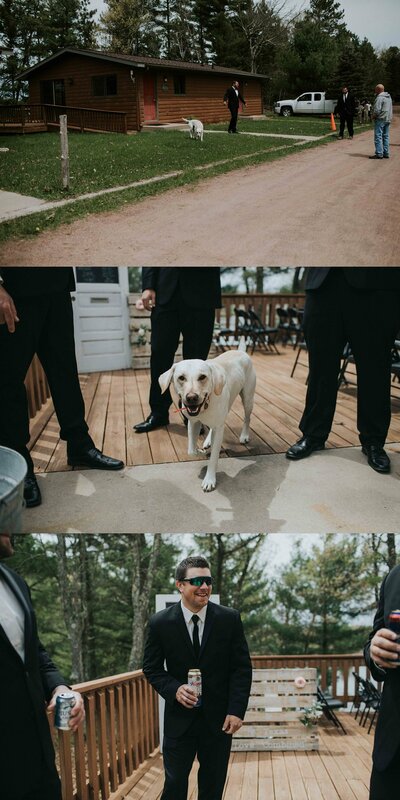 Like best groomsdog. He's so proud it makes my heart hurt! I honestly didn't even realize we took this many portraits... I just went nuts. Proof that Allicen and Zeb must like me a little bit or they're just the most accommodating and sweet people around. Ok. Just another thing that made me cry... May 12th also happens to be Zeb's parent's anniversary. They celebrated 34 years of marriage and Allicen and Zeb surprised them with a special dance and their own cake to cut.